Young Lights is led by Jairo “Jay” Horsth Paes. Raised in Massachusetts, USA, Jay arrived in Brazil in late 2010 with a lot of both physical and emotional baggage. There, he started writing songs in order to channel his thoughts and experiences and realized that, through his lyrics and compositions, he could feel at home again in Brazil. Jay started playing as a child at his father’s church, where he absorbed his first music influences. From there, he began discovering and adventuring into classic folk artists like Bob Dylan, Neil Young and punk bands like Minor Threat. These are the fundamental bricks for Young Lights. Folk Rock is the first reference most noticed in the songs, but the punk influence comes out during energetic and intense shows. Folk rock, indie y punk están unidos en la música de Young Lights. Proyecto de Jay Horsth, brasileño crescido en USA, el grupo se aventura por la obra de artistas clasicos como Bob Dylan, Neil Young y nuevos artistas como Bon Iver para crear sus canciones. For the past six years DIBIGODE have broken down the walls of contemporary brazilian instrumental music. Their first album, “Naturais e Idênticos ao Natural de Pimentas da Jamaica e Preta”, and intense live performance became one of the biggest revelations on the brazilian independent music scene. The quintet drew the audience and midia attention, such as Rolling Stone, Billboard and MTV, for creating music that mixed Fusion, Rock and local rhythms very naturally. Their second album, “Garnizé”, was recorded in Minneapolis/US and released in 2015. In the meantime, the band created a soundtrack for a contemporary Brazilian dance company, “Plano”, and toured in the US, China and Brazil. Representante de la nueva música instrumental brasileña, Dibigode mezcla rock, jazz y experimentalismos y recibe influencia de artistas como Tortoise, Pink Floyd y Radiohead. El grupo ha realizado dos gira por los USA y China. Câmera, formed by cool chillers from Belo Horizonte, can be surprisingly soft and noisy at the same time. Their sound mix folk, 90’s fuzzy guitars and psychedelic tempos, producing an impressive and mature result. 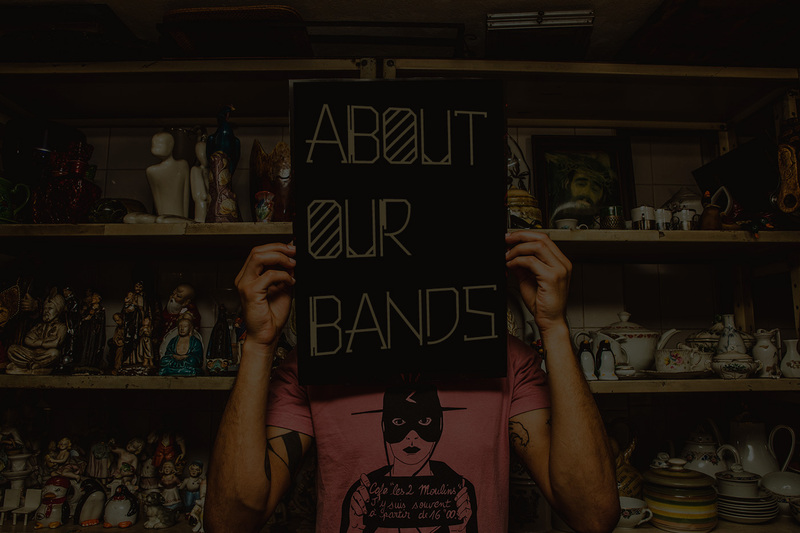 Some say they don’t even sound like a brazilian band, but you could be mislead about that. After the release of 2 EPs, several acclaimed gigs around Brazil and almost a year recording at their hometown, the band achieves their highest creative moment with the release of their debut album ‘Mountain Tops’, named by Rolling Stone Brazil one of the best albuns of 2014. Con mucha influencia del rock alternativo de los años 90 y el indie contemporáneo, Câmera se ha convertido en uno de los grandes nombres de rock independiente en Brasil. Fueran opening act de Stephen Malkmus, Mac Demarco y Real State en Brasil y participaron en el importante festival español Primavera Sound. Pequeno Céu started as a one-man band in 2009 and became a group in 2011. Their first album, “Sargaço”, was released by the end of 2014 and their second full-lenght will be out in a few months. Their music goes freely through math-rock, afrobeat, jazz and brazilian popular music. Pequeno Céu comenzó como una banda de un solo hombre en 2009 y se convirtió en un grupo en el año 2011. Su primer álbum, “Sargaço”, fue lanzado a finales de 2014 y su segundo disco saldrá en unos meses. Su música camina libremente por el math-rock, afrobeat, jazz y la música popular brasileña. From the ashes of Diesel and Udora, bands that have played with artists such as Red Hot Chilli Peppers, Deftones and Silverchair and at festivals like Rock in Rio comes the trio Oceania. They started to play by the end of 2016 and their first album will be released in the beginning of 2017. De las cenizas de Diesel y Udora, bandas que han tocado con artistas como Red Hot Chili Peppers, Deftones y Silverchair y en festivales como Rock in Rio llega el trío Oceania. Comenzaron a tocar a finales de 2016 y su primer álbum será lanzado a principios de 2017. Leonardo Marques makes a kind of music that creates bucolic and romantic scenarios whose sound goes among indie folk, sixties psychedelia, lo-fi and the brazilian Clube da Esquina. He’s also a former member of the bands Diesel, Udora and Transmissor. Leonardo Marques crea escenarios bucólicos y románticos cuyo sonido va entre indie folk, psicodelia de los años sesenta, lo-fi y el brasileño Clube da Esquina. Él es también un ex-miembro de las bandas Diesel, Udora y Transmissor.